WildSprout Wholefoods on Loop Street in Cape Town’s inner-city gives you a fresh perspective on healthy food. 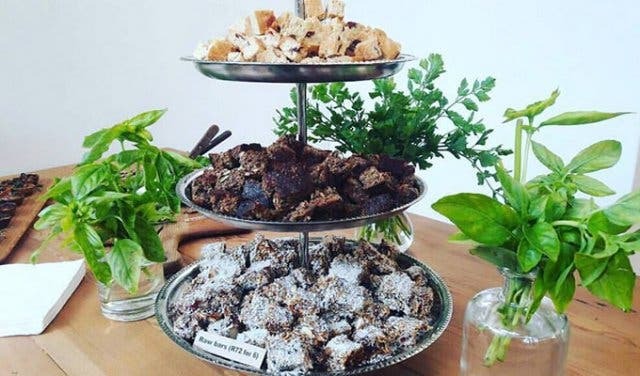 The restaurant is rooted in the philosophy of sustainability and conscious consumption, meaning that their fare is 100% organic, right down to the hemp shopping bags and recycled juice pulp that is used as compost on the Boplaas family farm in Wellington, where their produce is grown. 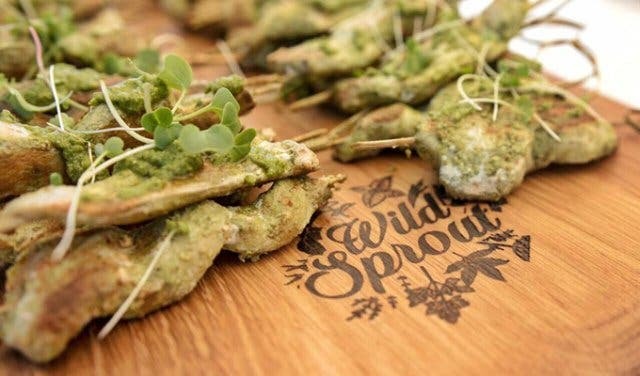 The food: WildSprout offers food that’s free from gluten, wheat, dairy, meat and refined sugar, but still flavourful. Owners Bryan Walter and Candice Coles, who are inspired by their own conscious-eating habits, make meat and fish dishes, too. The salad we sampled off their harvest table – a tangle of purple and light green crispy cabbage with soy sauce, sesame seed dressing and roasted cashews – was a tangy thai fusion. The freshly prepared vegan patty and fish cake accompanying the salad had robust flavours because of the fragrant herbs and spices. 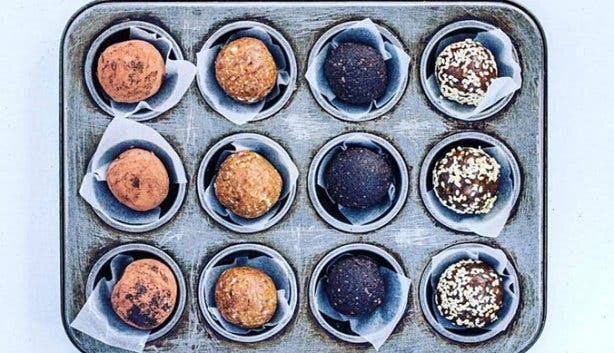 Dessert were decadent vanilla and sesame seed bites which melted away in your mouth. 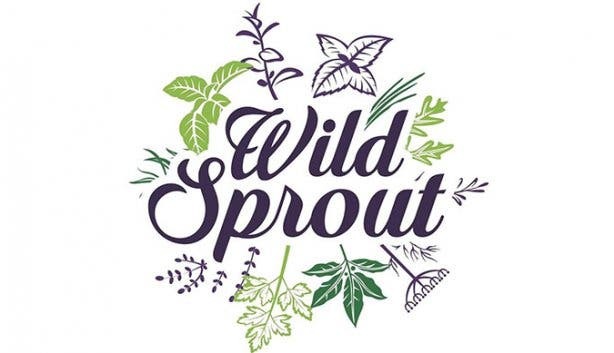 WildSprout produce their food using innovative techniques that substitute ingredients for healthier alternatives without the extra costs. 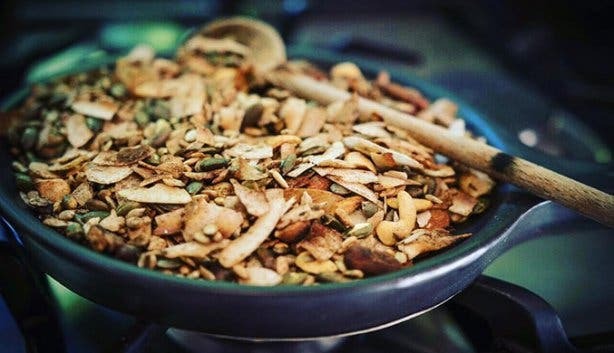 Prices on the menu range from a R15 shot of ginger to boost your immune system to the R30 soup of the day. The highest priced item on the menu, the Hemp Jacks are a steal at R60. “Healthy food doesn’t have to be overpriced.” says Bryan. The harvest table is where you get something new every time and the prices vary. 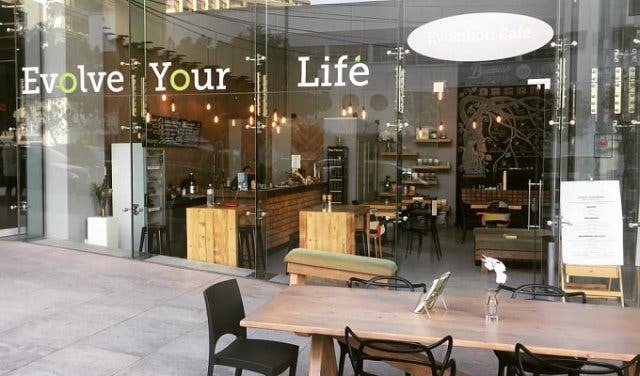 It features four new salads every day (of which two are vegan) and two new protein options from 12pm till the food is finished. 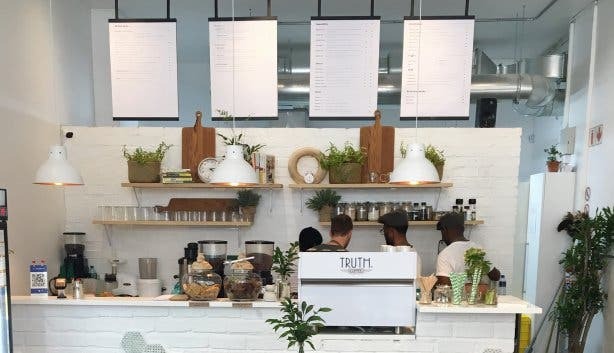 The interior: The charming cafe is planted in a sunny spot at the corner of Loop Street and Bloem. The space radiates its wholesome values with tints and tones of green, white and light wood. A variety of leafy vegetation feature throughout the store, either in different pots and vases or on the wall as enchanting 2D art. Light pours into the wide glass windows and highlights the farm-style table settled in the centre of the store. The experience: WildSprout’s mission might be singular, but their dishes are diverse; with a range of appetizing dishes from homemade hemp flapjacks, superfood packed smoothie bowls, dehydrated rusks, biscotti and ginger balls and convenient frozen vegan or vegetarian patties to suit the conscious foodies on the go. 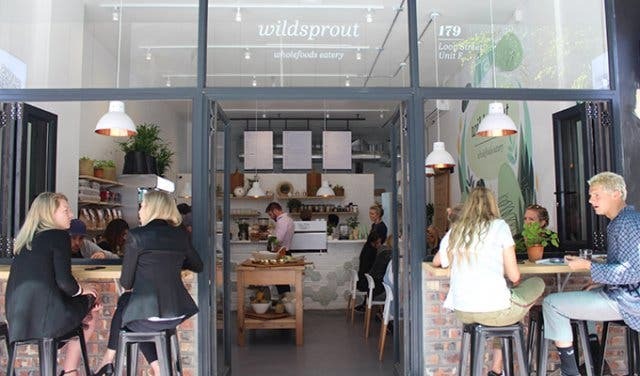 Tip: WildSprout has a R15 cappuccino and a R40 breakfast special of a cappuccino and eggs on toast for morning visitors available from 7am till 9am. Note: Owner favourites on the menu include the Super Berry smoothie packed with antioxidants; the sesame and vanilla bites; and a definite must-try are the Hemp Jacks, which are grain-free, sugar-free, dairy-free; waffles served with speciality nice-cream made of frozen blended bananas instead of dairy products, and seasonal fresh berries topped with cocoa and almond drizzle. #CapeTownMagNew is dedicated to discovering exciting new places in and around our pretty city. We tell their stories, find out what they offer, and delve into what makes them unique. From cafés and restaurants to trampoline parks and dog hotels, there is always one new place in the city that we uncover each week. 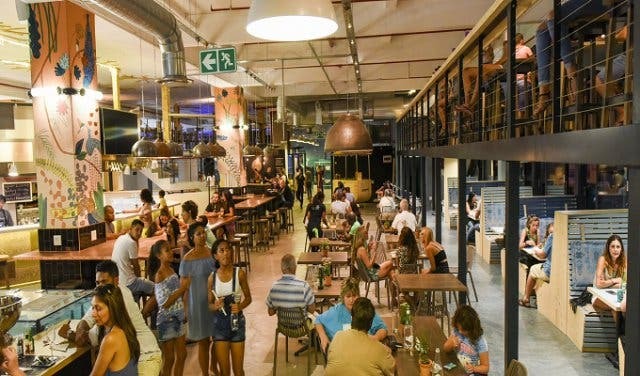 You can follow #CapeTownMagNew on Twitter and Facebook and subscribe to our newsletter to track recent features or read more here about more Hot Spots and New Restaurants in Cape Town and Surrounds.